The majority of Americans have been frustrated by unwanted phone calls. 72% of Americans registered for the National Do Not Call Registry, but the list doesn’t always keep up with the ever-changing ways telemarketers are bypassing the restrictions to deliver their spam and robocalls to customers. With robocalls and international dialing making it easy for lobbyists, marketers, salespeople and scammers to blanket-dial phone numbers, there is a growing assault happening via our telephones. It may seem like a dream to stop the calls from bots and spammers, but it has now become a reality. 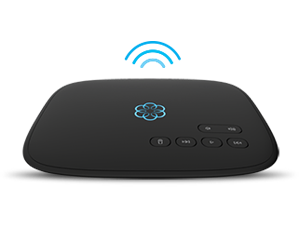 Ooma’s smart home phone service has blocked over 36 million unwanted calls. That’s 36 million times the phone hasn’t rung and disturbed people while eating dinner, helping their kids with homework or watching a film. Customers cite the call blocking services as one of their favorite Ooma phone features, second only to savings. Ooma’s robust calling blocking service includes a myriad of ways that help customers block and direct calls. More importantly, these features are continually being enhanced as new threats arise. The Expanded blacklist includes numbers from a third-party database of confirmed telemarketers, robocallers and phone spammers. These 800,000 numbers are known sources of spam. The Personal blacklist is a customizable list of numbers unique to you that blocks any number you add. The Community blacklist is a crowdsourced list of numbers built by the Ooma community. Because invasive callers are nimble, easily switching their numbers, the Community list can quickly respond to new spammers and protect everyone from these calls. For each category, you can configure how incoming calls are treated. You can send calls to voicemail, play a disconnected message, have an infinite ring or issue a call-blocked message. And because each household faces a different set of phone spam challenges, personal blacklists have a capacity of more than 1,000 numbers. This includes the ability to use wildcard characters to block a range of incoming phone numbers or an entire area code. In your personal blacklist, you can also block incoming calls by keyword. Perhaps you’re targeted by a political party that you don’t wish to hear from; adding keywords will prevent those calls from getting through. Ooma Premier members can access their settings from the MyOoma page by navigating to Call Blocking under the Preferences tab. After your call blocking settings have been established, you’ll be able to review a list of calls that have been blocked. You’ll also be able to add or subtract numbers from your Personal blacklist. Benefits with so many phone scams preying on the elderly, an effective call blocking service will protect your loved ones from becoming victims. Families with young children also benefit from strict enforcement of customizable call blocking features that also give customers more visibility into the calls being blocked in case adjustments need to be made. And for anyone who is seeking a greater sense of peacefulness and mindfulness in their days, preventing unwanted phone calls is a big step towards limiting distractions and creating a calm space. Taking control of one’s own phone line and preventing unwanted calls has become a matter of personal responsibility. As telemarketers advance their technology to make more calls to more people, so too must the public advance its technology to prevent the onslaught. 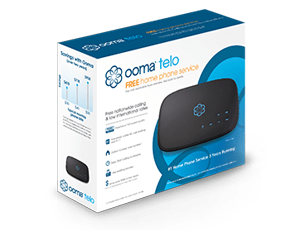 Learn more about Ooma Telo here: https://www.ooma.com/home-phone-service/. As an existing customer I would like to see a call block only service provided.